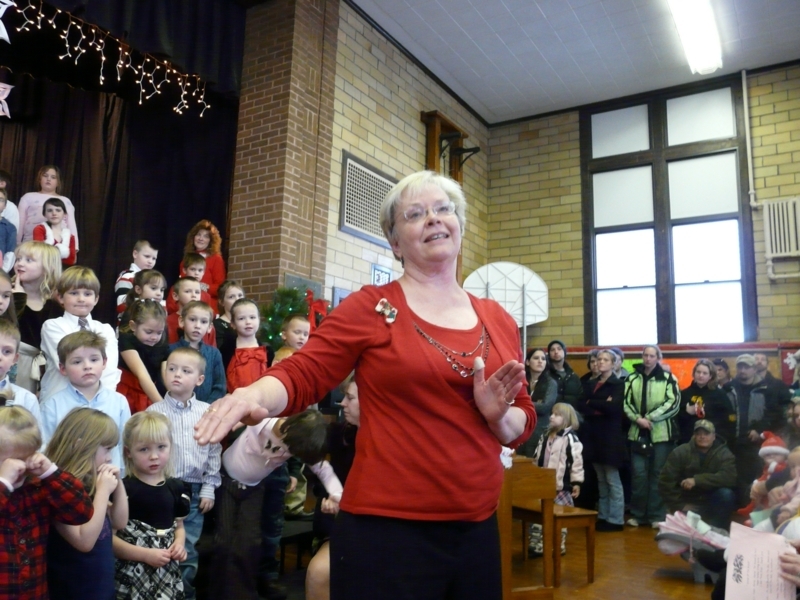 The elementary school students from Ironwood Area School District performed their Christmas Concerts this week. 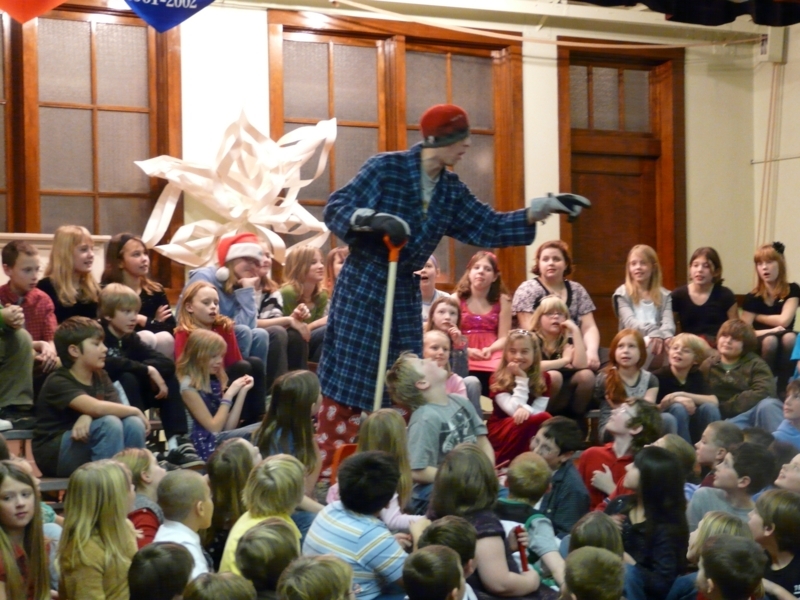 There were two performances by the Sleight School students on Wednesday followed by two performances by the Norrie Students on Thursday. The audience was once again treated to the excellent performances that they have come to expect from young Ironwood musicians under the tutorage of Steve Boyd, area virtuoso and Music Director. 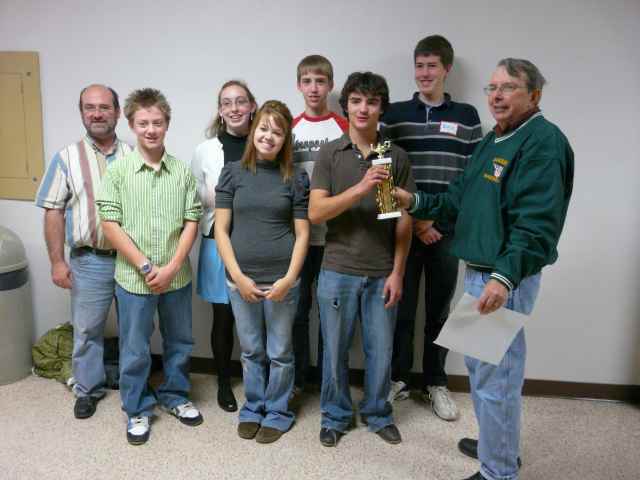 The Wiz Kids from the local school districts once again gathered at Gogebic Community College Thursday to compete in the Fall Quiz Bowl. Two teams were missing from this year’s competition due to the H1 bug. 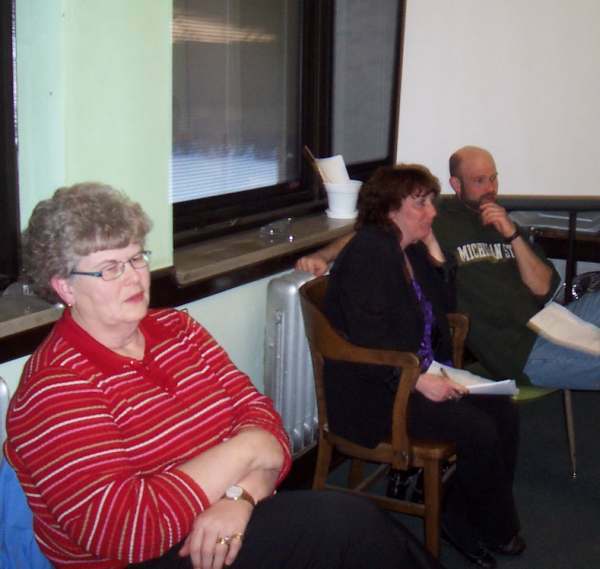 Ontonagon and Watersmeet were unable to attend. 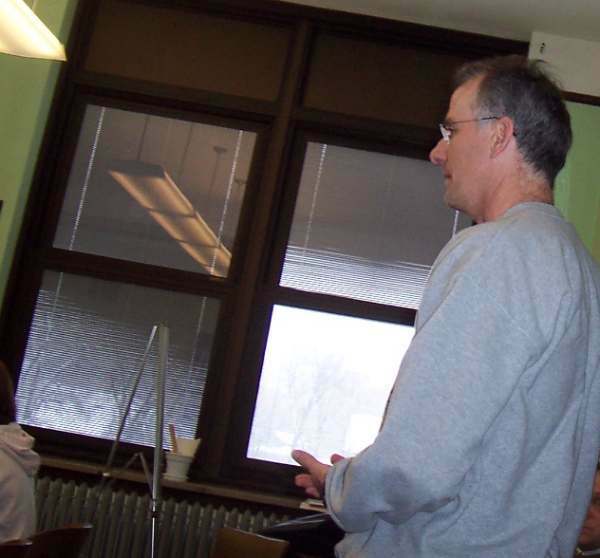 Once again Steve Thomas, showed his malevolence toward superintendent Jim Rayner. The board president wanted to put restrictions on Rayner working for the E-TC.School District. Rayner has been offered the job as part-time superintendent at ETC. Rayner will be using his accumulated vacation time to work with the E-TC district. Rayner's contract with the IASD runs for one more year. 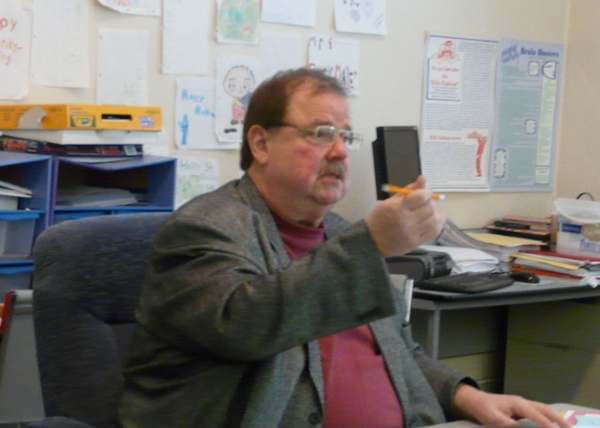 The vindictive Thomas has refused to renew Rayner's contract past the 2009-2010 school year. 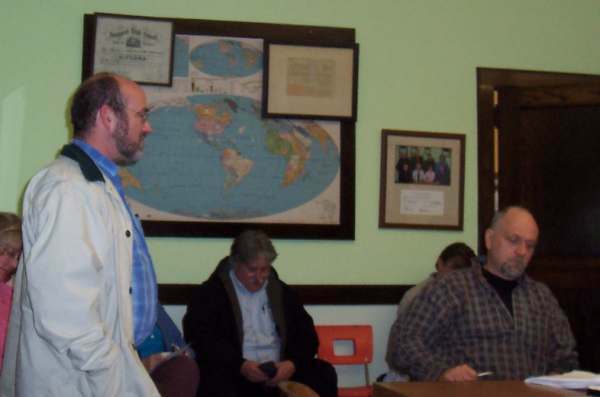 The stipulations wanted by Thomas were tabled until they could be reviewed by the Finance Committee. Thomas, a card carrying member of the teacher's union has been at lager heads with Rayner from the get go. Rayner, has strategically worked the IASD out of a huge deficit ($490,000) during his tenure at Ironwood. A deficit created by Thomas' cronies. Thomas' has a different approach to avoiding a deficit. That is, take over the neighboring school districts and use their money for frivolous spending. Rayner wants to control spending. Thomas on the other hand, wants to continue to spend, spend spend!. It is almost a certainty, where the district will wind up after Rayner's departure. Once the stimulus money runs out the district will have to make deep cuts or go into a deep deficit. The Ironwood JV football team came to Masssie Field in Bessemer last night for their last game of season. The Red Devils would find the Co-op Bessemer-Wakefield-Marenisco JV's just as cold and uninviting as the frigid weather engulfing the football field. Bessemer-Wakefield-Marenisco, hereinafter called BWM, scored on their first drive, just one minute and thirty nine seconds into the first quarter. One minute and fifty eight seconds later the Speedboys scored its second touchdown. Missing both of their two point conversion attempts, BWM was ahead of Ironwood 12-0. One minute and forty eight seconds into the second quarter, BWM scored yet again. This time their conversion attempt was successful and the Speedboys were ahead 18-0. Just as it was begining to look like a long, long evening for the Red Devils the momentium appeared to change. With two minutes and forty nine seconds left in the first half, Ironwood scored it first touchdown of the evening. The score was then 20-8. With just under twenty three seconds left in the half the Red Devils would score once again. As the clock ticked down to zero, the half ended with the score BWM 20, Ironwood 8. Two minutes and forty four seconds into the second half, Ironwood would score a third straight time and the score was now Ironwood 22 and BWM 20. It appeared now as if the Red Devils were on their way to victory. However, with two twenty left in third quarter BWM scored their first touchdown of the second half and with a successful conversion attempt the Speedboys now led the Red Devils 28-22. The Speedboys had once more gained the momentum and scored again with 8:14 remaining in the game. The score was BWM 36 Ironwood 22. There was no further scoring and the game ended Speedboys 36 - Red Devils 22. Last evening, parents friends and other music lovers gather in the "Gymtorium" at Luther L. Wright. They all came to hear the annual "Summer Band Concert". The sumer band program brings together 5th through 8th grade musicians from Bessemer, Ironwood and Wakefield-Marenisco school districts. Pictured above is Madeline Gabka who perform a wonderful trumpet solo "Carnival of Venice"
Norrie School students went to Norrie Park for the annual fourth grade field day. Sixty five students went to Norrie Park Friday for a day of fun and games. 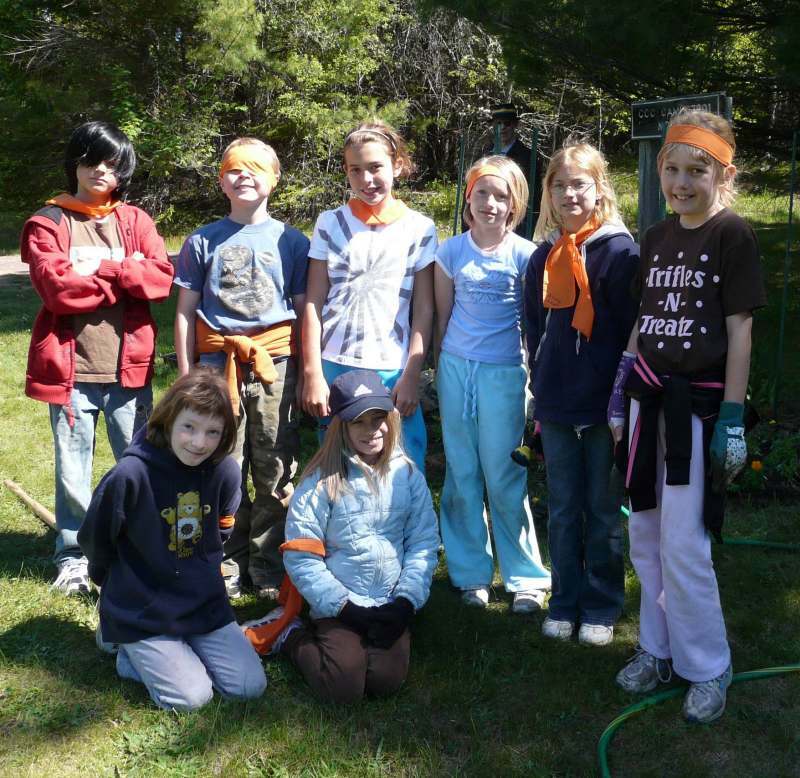 Each year prior to school letting out for the summer the Norrie fourth graders go to the park to plant the flowers that they started from seeds in their classrooms this past March. Up to now the kids have been taking care of the plants at Norrie School. The Ironwood School District presented awards and scholarships to many of the districts students. In a ceremony which took place this weekend students received scholarships from the Ironwood Scholarship Area Foundation and other scholarship donors. Student awards were given for exemplary student achievement and school service. Pictured above is the Ironwood Quiz Bowl Team which received awards presented by team coach Steve Boyd. Team members were also recipients of several scholarships. Ironwood - May 22, 20099-The IASD Board heard sobering news from Superintendent James Rayner. At Mondays Board Meeting Rayner told the board that it's llikely that the 2009/10 fiscal year could be in for a serious shortfall. With the Title I revenue included in the figures, but not Title I expenses there could be a $150,000 deficit. There are some factors that could reduce the amount of red ink however, not all the expenses have been included. It could turn out that Ironwood will finish the 2009-10 school year around a quarter of a million short of a balanced budget. Items contributing to the problem include a large increase in health insurance cost and declining enrollment. While the next kindergarten class will have 50+ students that would still be 30 less students than the graduating class it replaces. 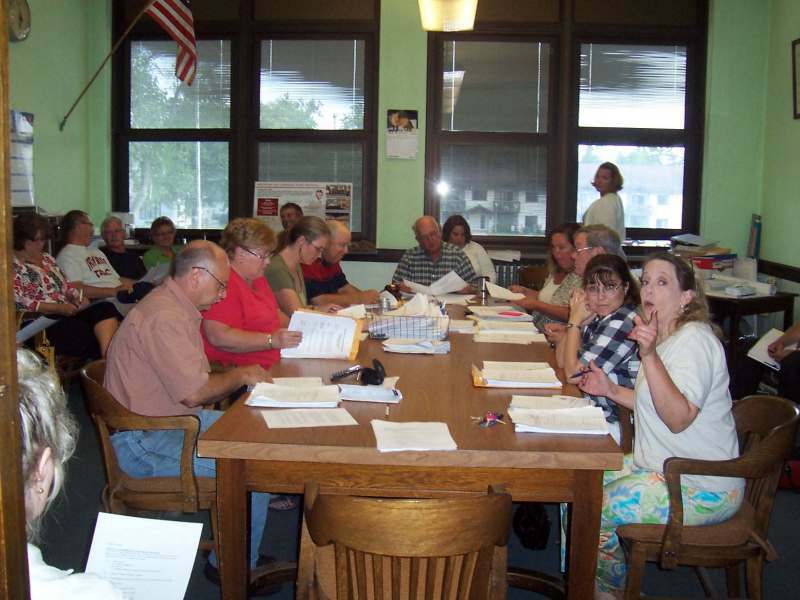 Board members are counting on the closing of Norrie School to help the bottom line, however, the completion date of the new addition is far off in the future and the resulting savings are another year past that date. The Ironwood School Board said no Monday night to a plan to improve the districts reading scores. The GOISD has been promoting a proven program to the area schools. The concept has been used successfully in Watersmeet for many years. You can read about this successful program in IronwooodInfo. The main detractor was Steve Thomas who keeps saying "I don't understand". This seems to be his theme throughout many school board meetings. It's amazing to think that someone who thinks he knows it all could say "I don't understand" so often. Just a couple of months ago he couldn't understand the numbers that Superintendent Jim Rayner presented as the projected deficit, then went on to give his fellow union members an unaffordable pay raise. He should have been on top of his form with respects to the deficit. After all, he and his cronies created it. It was Superintendent Rayner who solved the previous deficit . Now once again Thomas is spending the district into another huge deficit. We can all agree that "he just doesn't understand." Besides, not understanding Thomas has a lot to learn about running a meeting. Monday night when someone in the audience wished to ask a question. He barked no you can't. Obviously he can't understand why other school districts don't want much to do with him or his district. The students of Ironwood have already begun to pay for the Board's bad management. Monday night twenty two teachers were pink slipped. Of course only half or less of those termination notices will stick. 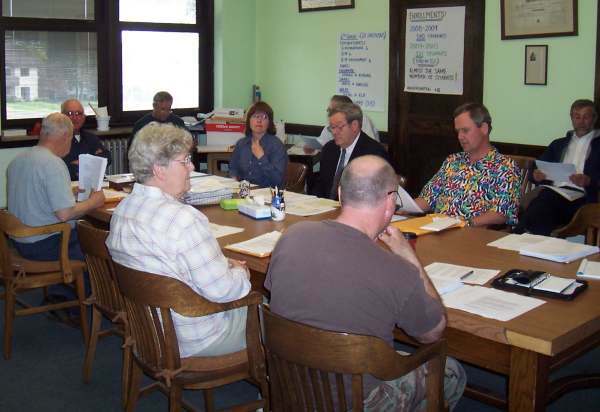 Pink slips is an act of gamesmanship between the board and the union. We think that pink slips should only be used on a Barbie Dolls and that students should get the education that they are entitled to receive. Oddly enough at one point Principal Tim Kolesar commented that other school districts don't want to co-op with Ironwood. Perhaps he should reflect on last year's attempt by Ironwood to takeover neighboring school districts. He should also listen to the tape of Monday evening's meeting and the lack of understanding by Steve Thomas. Then he may start to get the message. One final note for Ironwood Taxpayers. The Revised school handbook was rejected for plagiarism. It seems the name "DeWitt" showed up too often. 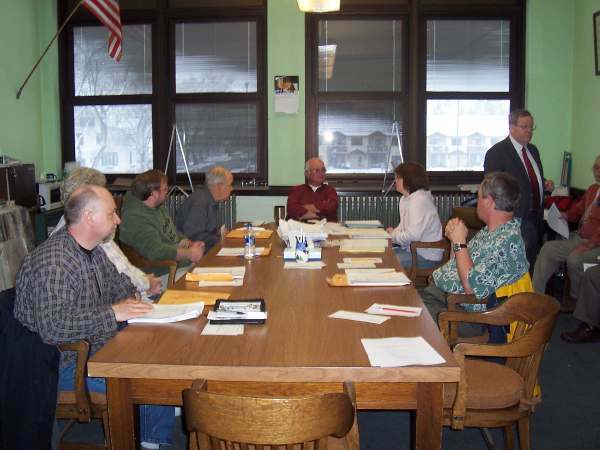 Taxpayers may recall that DeWitt is the hometown of the down state speculators "Hovey LCC" The same speculators that this strapped for cash school board exempted from paying any taxes to the district! 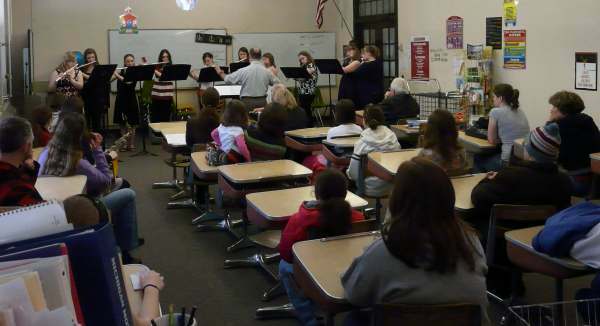 The halls of Luthur L. Wright HS were alive with the sounds of music Saturday. 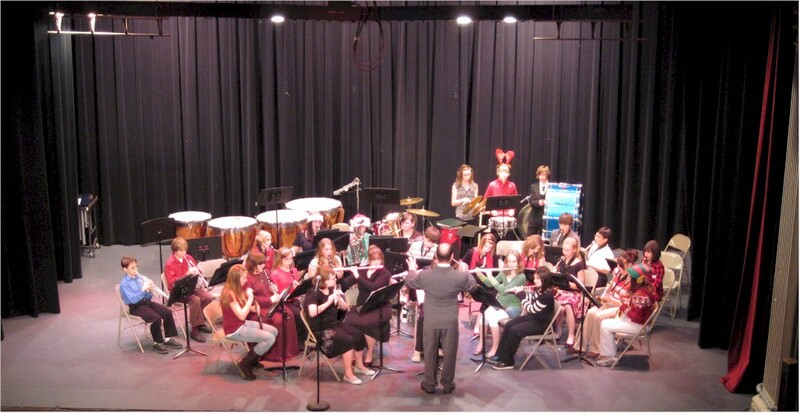 The music was performed by 225 musicians representing four different school districts. 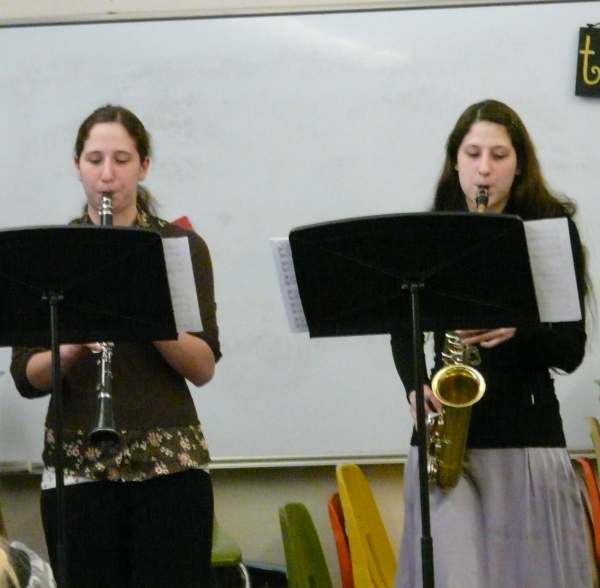 The Music Festival is one where the students perform and are critiqued by a school music teacher or director. 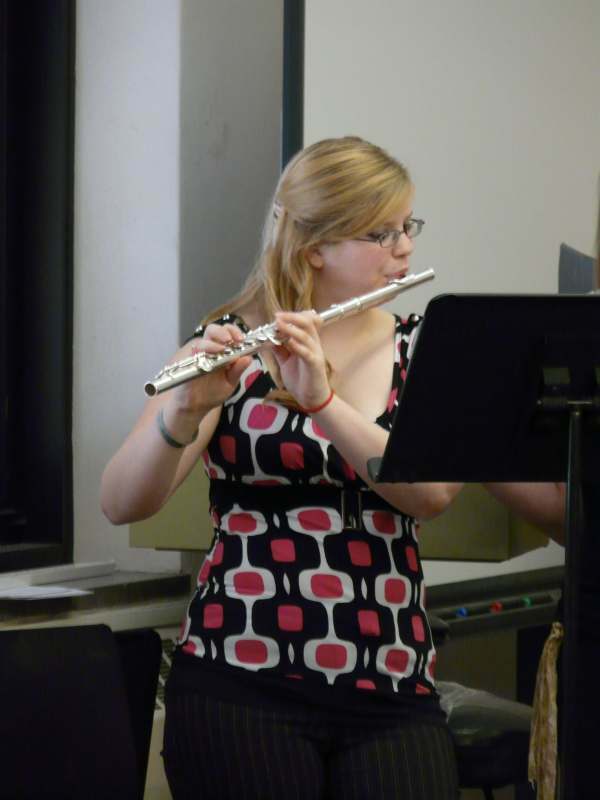 above - Brittany Pertile flutist playing in the flute choir directed by Steve Boyd., Ironwood's music director. 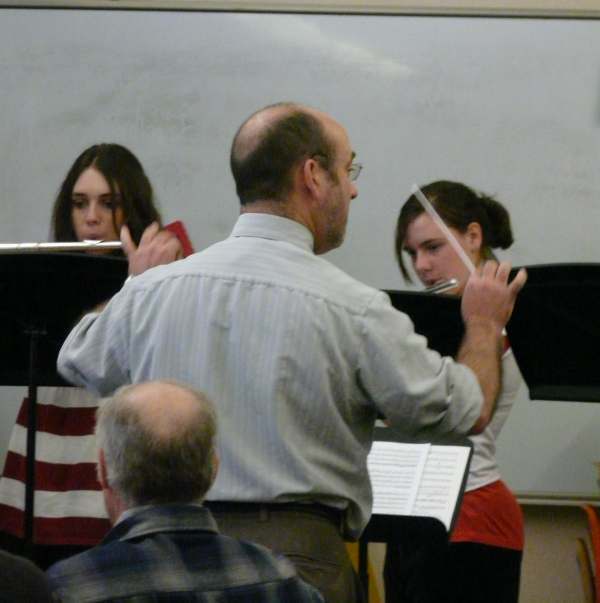 Above - Steve conducting Ironwood's musicians. The flute chior is a very, very ambitious challenge. Steve and his students did really great. above - From the Hurley School are Kayla and Kristina. Yes, they are twins and both are Juniors at Hurley. They performed duets by Paul Harvey and did a terrific job. Mom was in the audience to witness the girls wonderful performance. There were a total of four sites operating simultaneously. John did a great job and gave everyone a thorough critique. 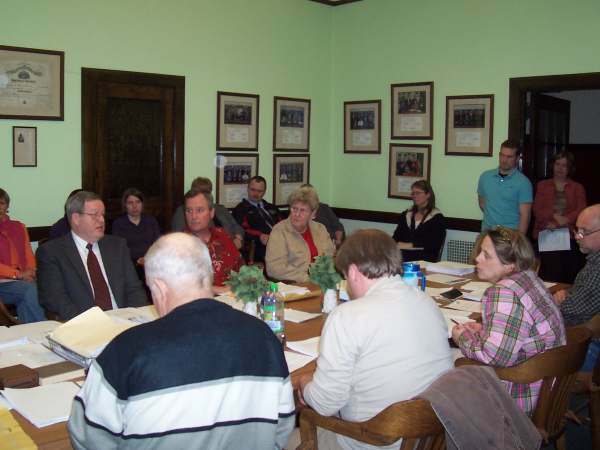 The Ironwood Area School Board held its regular February meeting last. 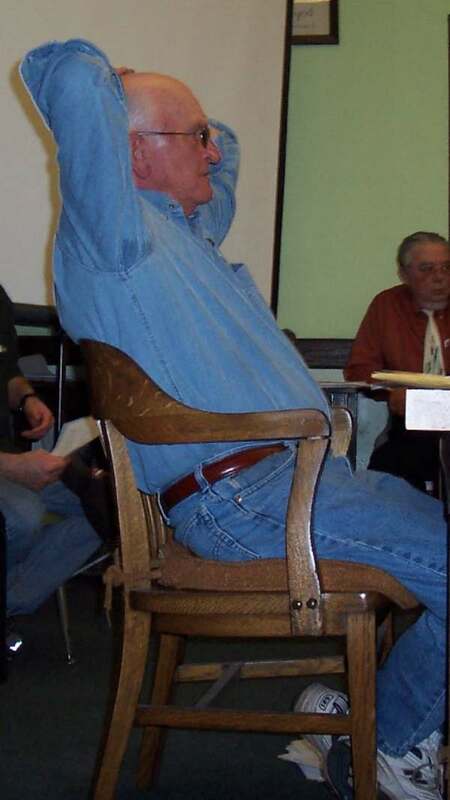 The board wasted no time in appointing a new member to their ranks. The board unanimously appointed Doug Palmeter to fill the vacant position created by Linda Dean's resignation. Palmeter was a difficult choice for the board. He was the only choice. Given the profile and history of the current board it should come as no surprise that no one else offered to enter the arena.